Police have arrested four people, including a woman said to be the relative of a Government Minister, during a major drug bust in Regents Gardens, Westmoorings on Tuesday. 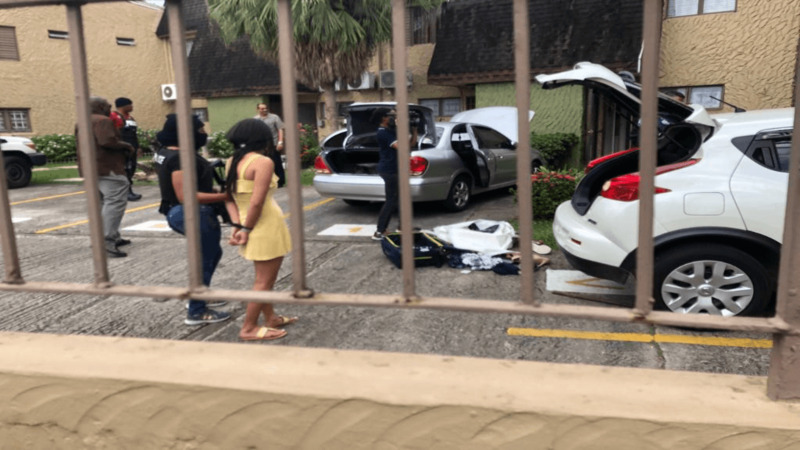 According to reports, officers with the Special Operations Response Team (SORT), led by Police Commissioner Gary Griffith, acted on a tip off and raided the apartment at the gated community around midday. The suspects - two men and two women - were caught packing what appeared to cocaine. The lawmen discovered large quantities of drugs and firearms. 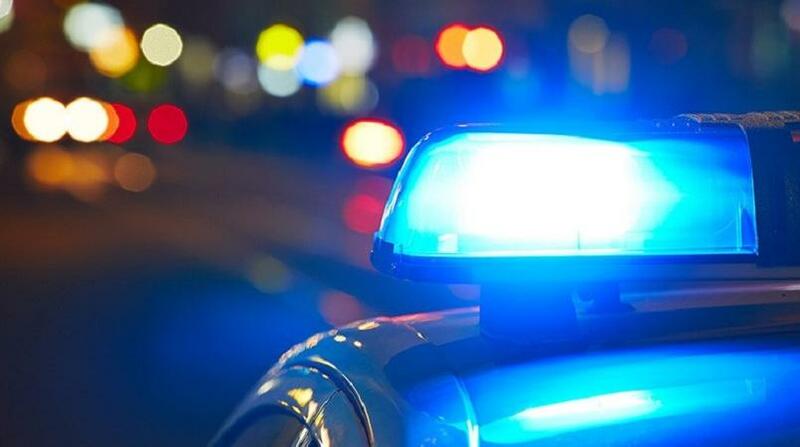 A fifth suspect, believed to an accomplice, has since been captured and is in custody at the Four Roads Police Station. Speaking with reporters following the major operation, Commissioner Griffith sent a strong message to criminals involved in the drug trade saying that "happy hour is over." The Police Commissioner said that he intends to cripple the drug trade and other criminal activity by "cutting the food chain" of the drug trade. "The more that we seize, the more they will make mistakes, and the more mistakes they make the more I will get them back." 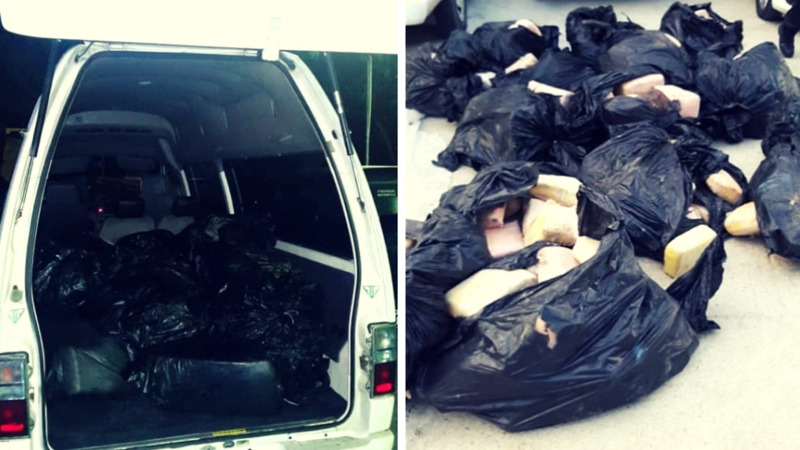 "Someone is going to have to pay the price for this just like somebody had to pay the price for the massive seizure of illegal weapons we got in Chaguanas and in other areas. 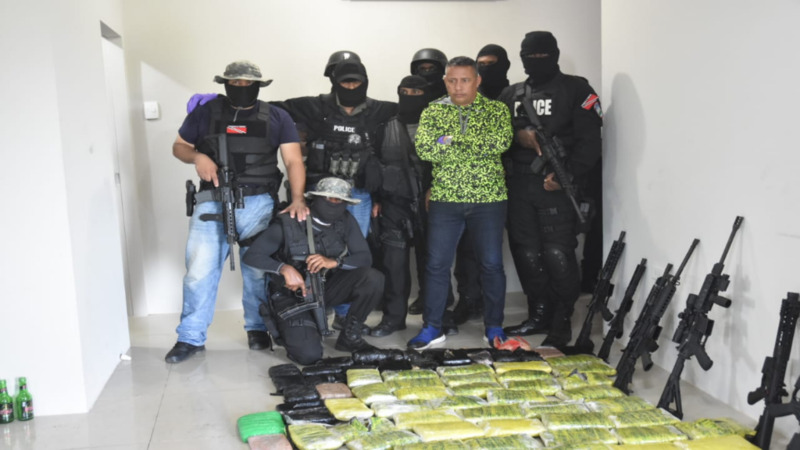 The more we seize these illegal drugs is the more that we will squeeze them... my job is to stop many illegal drugs from coming into this country," Griffith continued. "It will no longer be business as usual for them (criminals) and I will continue to take down all individuals who are involved in this trade, within the law." He assured that all persons breaking the law will be brought to justice regardless of their political and religious affiliation or social standing.